5G is one of the most anticipated trends this year. It promises a new era of connectivity, with seamless broadband, billions of IoT devices, HD voice, faster data speeds, ultra-low latency as well as significant revenue opportunities. It’s a way off yet, so what do service providers need to know about planning for and managing a 5G network? While there’s been a host of announcements from major players Deutsche Telekom, China Mobile, Nokia Networks, SKT, Samsung and Qualcomm all testing 5G and demonstrating the possibilitie, but the reality is that there’s still a lot of work to do. The industry needs to agree what the 5G standard will look like, and iron out the uncertainties about what future problems it might solve. And while that’s happening, the network and infrastructure guys need to figure out how it will be integrated and deployed. These teams are already battling with increased pressures of providing more complex and on-demand services, meaning existing infrastructure and management will need to change. It’s no surprise then that some telcos are looking at new technologies to unify their OSS architectures, which provide an end to end service-centric view of the network and the agility to deploy new services quickly and efficiently. 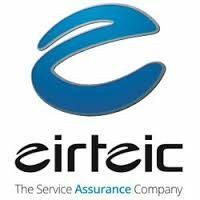 An example is eir, Ireland’s largest telco provider and the first to launch 4G in the region, undertook a project to unify voice, data, Internet, value-add services and IT (for example internal help desk) into a single management platform. The project resulted in a 65% reduction in OpEx as well as a significant reduction in time to market because of streamlined service management capabilities. Projects like eir’s are already helping telcos achieve a service-centric environment that helps them improve reliability and customer experience (and reduce churn), better meet SLAs, increase speed to identify and respond to faults, and importantly be able to quickly deploy new services as market demand changes. It’s a few years until 5G will be fully understood and ready to roll. In the meantime, CSPs have their work cut out creating more agile, flexible environments that answer industry problems of today, while paving the way for a smooth transition of 5G and other technologies in the future.